Andrus Auto Detail is a privately owned and operated mobile detail service. We are located in Chandler AZ just off the I-10 and Wild Horse Pass. 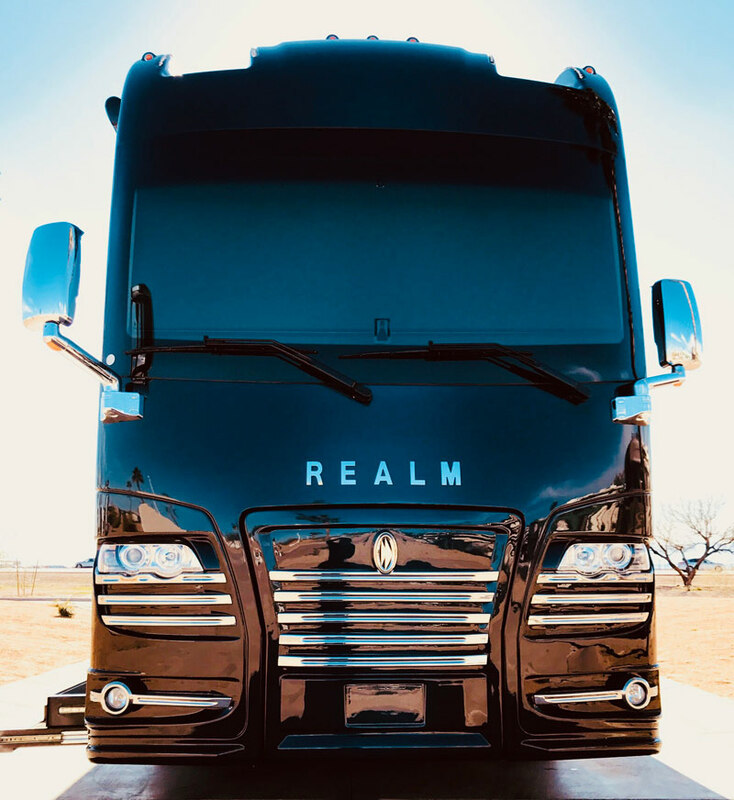 Our detail service is primarily designed to handle high end motor coaches and RV’s. 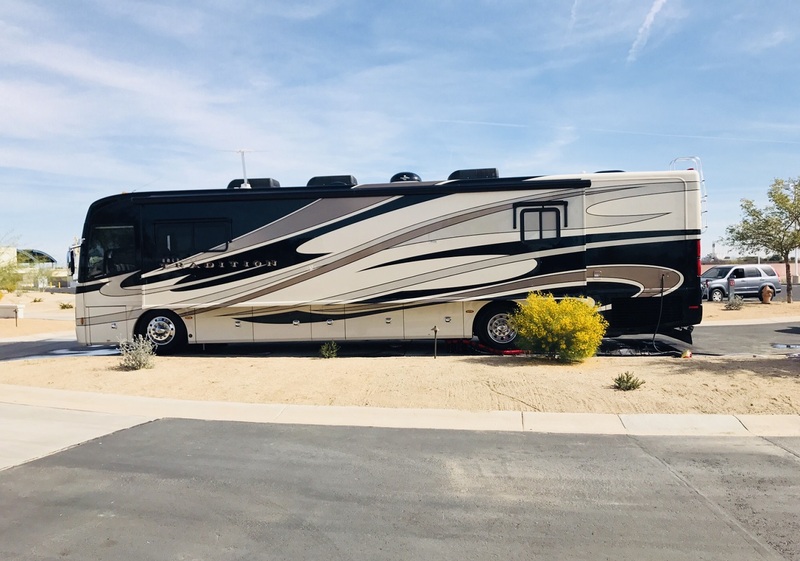 We work very closely with one of the largest and nicest RV Storage facilities in the state of Arizona, RV Super Storage. You will also find us working on most days at The MotorCoach Resort in Chandler. At Andrus Auto Detail we take great pride in what we do. Our attention to detail and high quality of work has quickly earned us the reputation of being one of the best RV detail services in Chandler. 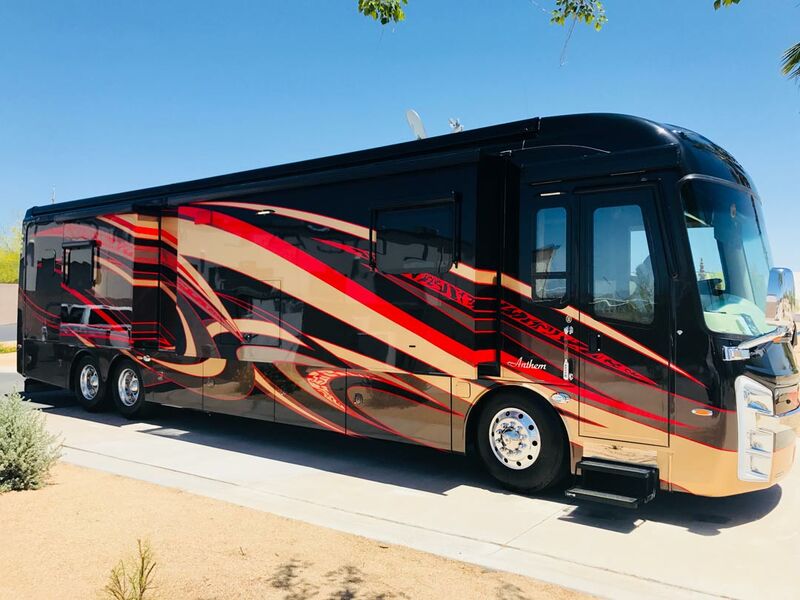 The most commonly heard comment we hear from our customers is “My Coach didn’t Look this good the day I bought it.” Please give us a call at (602) 228-3555 to schedule an appointment. We look forward to meeting you! Washing a motor coach is much different than washing a car. 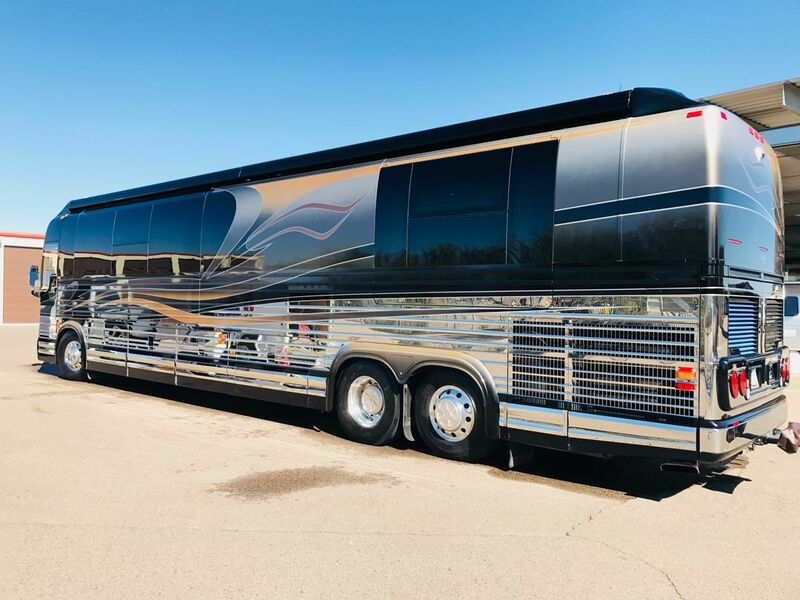 We are experts specialized in cleaning motor coaches with full body paint. Rest assure we always use nothing but de-ionized water for the entire process. In Arizona we have some of the hardest water in the entire country. Very few RV detail companies will spend the money required to operate at 000 on a TDS meter. Our water is tested before every wash to ensure zero mineral content. This is extremely important and costs the detailer anywhere from $10-$20 in water cost alone. Not only do we use de-ionized water we also use the finest products money can buy to clean a motor coach. We use nothing but lambs wool wash mitts and boars hair brushes to get the job done. Boar’s hair naturally holds more soapy water than synthetic materials and the bristles do not retain dirt. Occasionally customers may have a specific product request. This could be a certainty type of soap or tire dressing they prefer we use. We are more than happy to accommodate those types of requests. Often times we hear from our customers “No one has ever cleaned our coach as good as you guys!” Now you may be asking yourself “What is it that separates Andrus Auto Detail from the other mobile detail services in the valley?” Great Question! First of all I would like to tell you a bit about myself as the owner of the company. After moving to Mesa, Arizona from Anchorage Alaska in January of 1994 I decided I wanted to begin perusing a career as a working actor. For over twenty years now I have been working in television and film here in Arizona. After signing with the Ford Robert Black Agency in 1998 I began working for Mercedes Benz and quickly became a spokesperson and a brand ambassador. To this day I continue to work with Mercedes Benz as well as Volvo and Alfa Romero at various events around the valley. 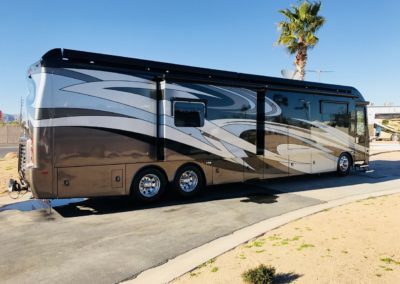 Now you may be asking yourself “What does any of this have to do with cleaning a motor coach?” Aside from telling you a little bit about myself I mention this for two reasons. One reason is I have a very good understanding of my client base. Due to my professional background I’m able to relate to my customers and not only meet yet exceed their expectations time and time again. Secondly I learned this business from someone I consider to be the best in the business. My good friend Andrew Steel with A.N.S. 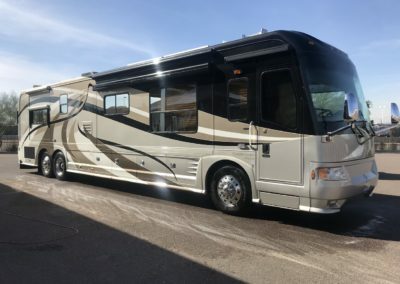 Auto Detail is highly recognized in the RV community. 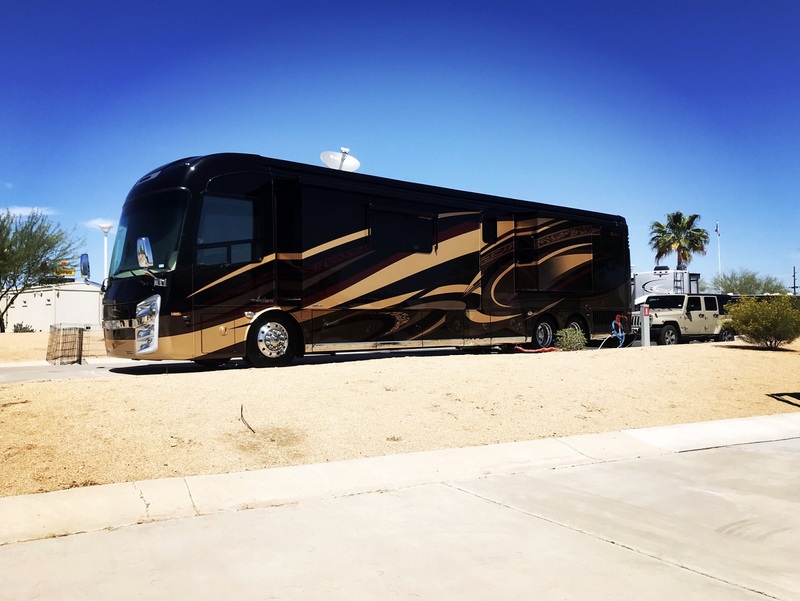 Andrew was featured on outside our bubble with David Bott a very well known RV Blogger. I spent close to a year working with Andrew in the field learning how to be the best in the business at what we do. 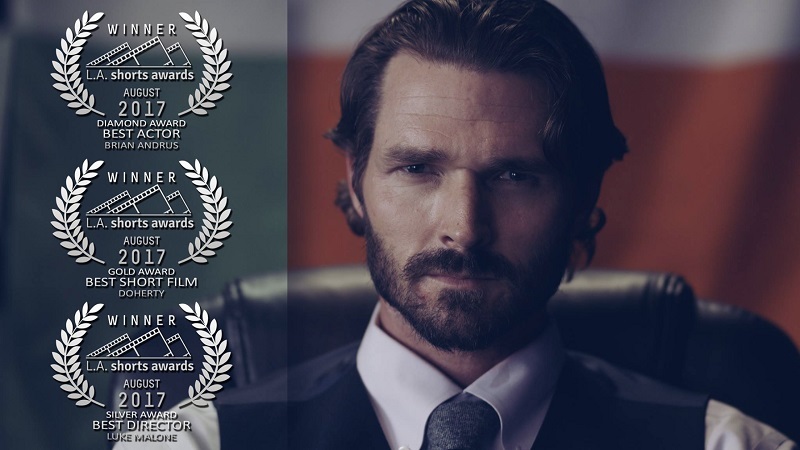 In fact if my work load exceeds my ability at any given time Andrew Steel with A.N.S. Auto Detail in Fountain Hills, AZ is the only other detail company I would refer a customer to in the valley.